Although the summer is coming to an end, that doesn’t mean that the party has to! In fact, whether you’re going back to college classes or your kids are returning to school, it gives you even more of a reason to throw a party and keep everyone in good spirits! 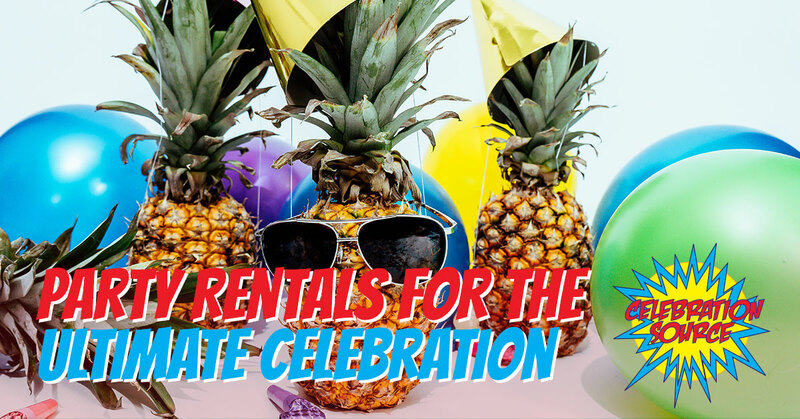 At Celebration Source, we’ve got all of the party rentals and entertainment that you need in West Miami! Whether you’d like a full-blown extravaganza or a low-key movie night, we’ve got it! Since the ‘90s, we’ve been proudly providing our entertainment services and event planning, and love every seeing the smiles on attendees faces as they have the time of their life. If you’re looking to throw an end of the summer bash, look no further. In this blog, we’ll bring up a few party rentals that we offer to take your event to the next level! Contact us today for more information. Celebration source has nearly unlimited options when it comes to inflatables that you can rent. Our inflatable bouncers are always a hit with the kids. They can bounce for hours without losing their smile, and we’ve got bouncy houses in all kinds of themes! For the fans of Frankenstein, we’ve got the Frankie Bouncer (also a great option for when Halloween rolls around) to our Royal Castle Bouncer for the fairies, princes, and princesses. No matter what bouncer you choose, it is guaranteed to be a hit! 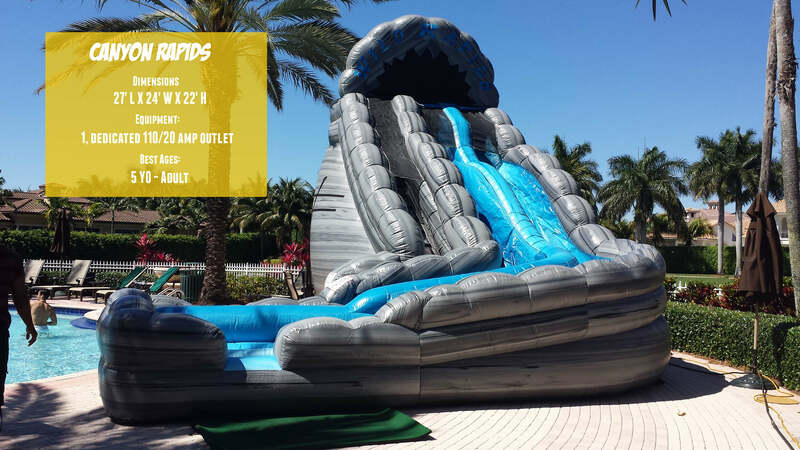 We know it’s the end of summer, but we’re in South Florida, so our water inflatables are always a good option for your event! Choose between the Foam Pit Arena, one of our many inflatable obstacle courses, or even our water tag maze! Just because it’s fall doesn’t mean you’re not able to still have fun in the sun! We also have a ton of interactive inflatable games to spark up the competition between you and your friends, co-workers, or family! Some of the most popular is the Human Hamster Track, the Bungee Run, and of course, the bumper cars! The best part is, you don’t have to worry about any of the setups! Our professionals will have everything set up before you know it, all you have to do is get ready for a good time. Looking for more of a relaxed get-together? Maybe have a movie night for your neighborhood? With our Movie Screen, we can bring the theatre to you! You choose the movie and location, and we provide a monster screen with 12’L x 7’H dimensions! If you’re looking to go all out, make sure to look through our wide selection of mechanical rides! Big and small, extreme and meant for kiddos, we’ve got it all. Even South Florida’s only 50-foot Ferris Wheel that’s available no matter what time of the year it is! Why not just throw the most memorable party of the year and make it a full out carnival? Not only do we have all the rides and carnival games, but performers as well! Your party can have clowns, mimes, magicians, caricaturists and more! And what’s a carnival without delicious carnival food like cotton candy, hot dogs, caramel apples, and popcorn? Don’t fall under the misconception that carnivals are only for kids. Even if it’s a corporate event that you’re throwing, everyone that attends is sure to have the time of their lives! 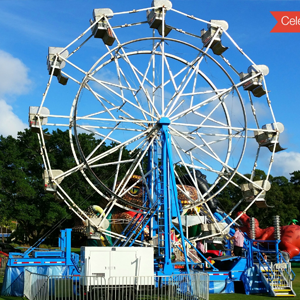 Carnivals are also perfect for college events and community festivals! At Celebration Source, we make sure to have the best and widest selection of party rentals available in all of South Florida. We are proud to be turnkey event planners and will work with you and your ideas to throw the grandest celebration possible! No idea what kind of party you would like to throw? That is completely okay! Give us a call and we can talk through your options, work with your budget and available space, and make sure that your event is one for the books! Along with having the best selection, we ensure the safest, well-maintained, and clean inflatables, rides, games, and the like. We’re committed to quality and putting a smile on your face! Contact us now for more information or to request a quote!